A groundbreaking new docu-series has just been launched that will prove to be the final nail in the coffin of vaccine industry lies. It’s called The Truth About Vaccines, and registration is open as of today. You can register now at this link. The Truth About Vaccines features the world’s top experts on natural medicine, toxicology and medical science. I’m also one of the featured speakers thanks to my lab science research into heavy metals, vaccine composition and the corruption of the pharma cartels. The summit is produced by Ty Bollinger, who also produced the wildly popular series called The Truth About Cancer, which helps millions of people learn lifesaving truths about cancer treatments and prevention strategies. 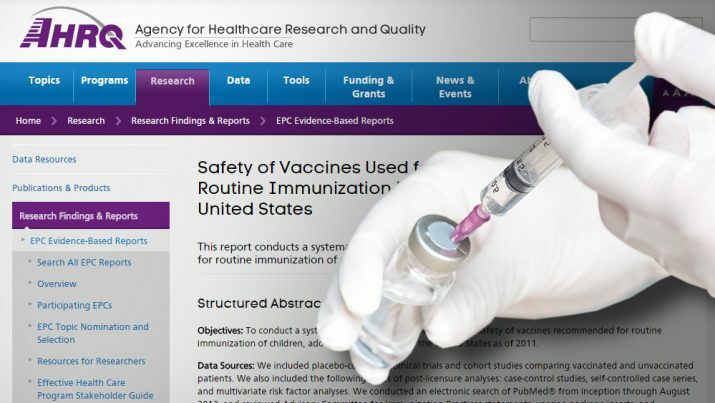 Now, The Truth About Vaccines threatens to blow the lid off the lies and corruption of the vaccine industry by revealing to the public at large what’s really in vaccines. The vaccine industry has always tried to hide its ingredients from the public, hoping nobody discovers the truth about how vaccines are made with African Green Monkey kidney cells, human fetal tissue and toxic heavy metals like mercury (which damages brains). But now, with The Truth About Vaccines about to go live in just 12 days, the era of vaccine industry secrecy is rapidly approaching an end. This docu-series pulls the curtain back on how vaccines are made, what they really contain and what toxic side effects they cause in children and adults all over the world. This is a “can’t miss” event. Register now at this link, or visit NaturalNewsSummits.com. Mark your calendar, too, because the broadcast begins on April 12th.